Our rich experience has enabled us to provide the clients with an extensive range of Appachatti. These kitchenware are manufactured with the use of raw material, which is used for appam. Furthermore, the appachatti manufactured by us is available in various sizes, designs and shapes. 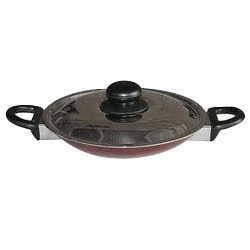 These cookware are used for preparing all kinds dishes and cuisines in hotels, restaurants and houses.